Authorities at the Sleep Council of America (SCA) announced earlier today that exactly all of the tips, tricks and remedies suggested to help you fall asleep naturally are nowhere near as effective as Xanax when it comes to finding rest. “After years of extensive research, we regretfully wish to inform everyone that, if you’re having trouble sleeping, Xanax, or a similar Schedule IV controlled substance, is gonna be your best bet,” said Adelfa Ocampo, a spokesperson for the group. The news comes as a relief to countless insomniacs across the country, no longer forced to feel guilty upon ignoring the suggestion of “regular exercise” yet again. “Thank God,” said light sleeper Ryan McCready. “I hope this news somehow makes it illegal for my doctor to keep asking about my ‘lifestyle’ choices,” referring to both the phone and laptop he refuses to turn off two hours before bed, despite being advised to do so on a number of occasions. Both pain management doctors and self-proclaimed “party kids” alike are happy to finally have the support and endorsement of both sleep specialists and the medical community. 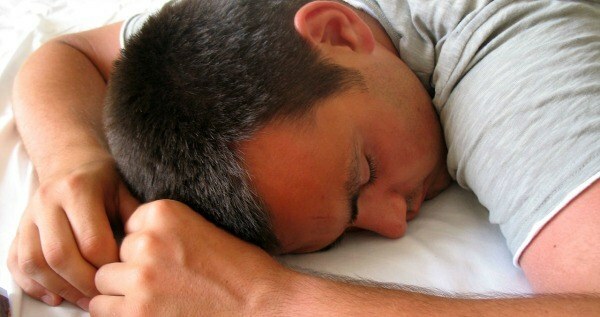 Of the countless methods considered, a single milligram of Xanax proved far superior to frequently suggested sleep tactics, with only “passing out shitfaced wasted” coming anywhere close to second.